Beijing threatened the Philippines with war if Manila pressed its claims over the disputed South China Sea islets and drilled for oil in the area, according to Philippine President Rodrigo Duterte. Duterte produced his seemingly sensational comments while delivering a speech at the National Convention of the Philippine Coast Guard Auxiliary in Davao City. The Philippine president recalled Monday conversation with China’s President Xi Jinping regarding the disputed areas of the South China Sea and explained why he abstained from pressing the claims. I really said, ‘It’s ours. I’d like you to listen for a while.’ I said, ‘Mr. Xi Jinping, I would insist that that is ours and I will drill oil there,’” Duterte said. The Chinese leader, however, allegedly threatened Duterte with an all-out conflict if the latter greenlighted drilling. “[Xi Jinping] replied to me, ‘We are friends. We do not want to quarrel with you… We want to maintain the present warm relationship. But if you force the issue, we’ll go to war,’” Duterte said. “What more could I say?” added Duterte. The Philippine strongman allegedly insisted in his claims, citing the July 2016 Hague arbitral ruling, which did not find the Chinese claims to be strong enough and ruled in favor of the Philippines. The Chinese government replied that its claims were “historical,” according to Duterte. Beijing, however, did not rule out discussion of the arbitral decision at some point in the future. “China said if we remain friends, it said, ‘We will talk about the arbitral ruling. But it cannot be now. You know why? You are not the only claimant. Vietnam is also a virulent claimant,’” Duterte told the audience. Several groups of islets in the South China Sea have been a source of contention between various states in the region, including China, Malaysia, the Philippines, Thailand, Vietnam and the others. 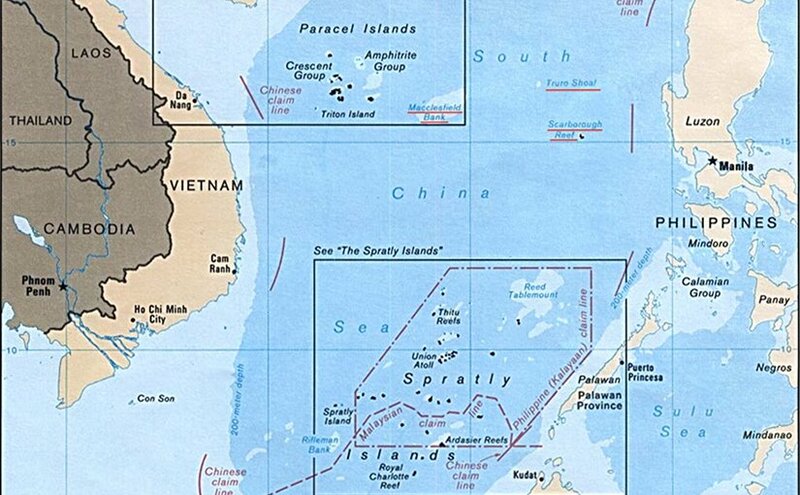 Taiwan, which Beijing considers part of China, has also laid claims on some of the islands. Similarly to the situation with the disputed islands in the East China Sea, primarily contested by China and Japan, the dispute escalated when supposedly rich oil and gas reserves were discovered in the area.